My First 4th of July! Ruthie will be celebrating her very first 4th of July this year! I am super excited to be a part of this “1st” for her as we have missed so many. The boys had “My First” shirts and outfits for many holidays as baby’s. I love them! But here is the thing, “first’s” are supposed to be celebrated while a child is still a baby. Try finding a My First…shirt at any store. If you are lucky you might find one in a size 24 months, but nothing bigger than that. And I understand, that’s how it’s supposed to be. But for the children who come into a family after their 1st birthday there is a chance they have missed some “First’s” and the new parents have definitely missed them. Those children who are adopted from foreign countries have not celebrated America’s Independence Day. AHA! A “First” to celebrate together! Now, on to the problem of finding a shirt large enough for your toddler, child, tween, teen. I have the solution! With the help of Fund the Nations we have a “My First 4th of July” t-shirt. Bonus, the proceeds will help an adopting family who are waiting for travel dates to meet their son in Eastern Europe! Please contact me to place your order and for payment. All proceeds will go to the Tomasik family. Deadline to order is Tuesday, June 7. It is almost time to say good-bye to 2015 and welcome in 2016! This year brought us some huge unexpected changes. We left December 2014 with the thought of adoption in the back of our minds as always. January of this year brought us to the point of “it’s time to start looking at our options”. The plan was to find an agency, start paperwork, and spend this past year saving for our “future” adoption! Wow how things change! January 28, 2015 is the day I first saw a picture of “Kasmira”. And she grabbed my heart and never let go! March 23 we officially committed to our Ruthie. Now we are 9 days away from boarding a plane for the adventure of a lifetime to meet our daughter and bring her home as a Ballard, a loved and cherished daughter and sister! God has moved mountains to make this possible. He has provided ways for us to earn extra money this year, He has used family, friends, and strangers to raise the funds needed for Ruthie’s adoption. It has truly been a humbling experience. We CAN NOT thank everyone enough for walking this journey with us. There is still one week left of 2015 and many people are looking for places to for final year end tax deductions. I would love to help you find a worthy place that will make a lifelong difference for a child and their forever family! Thank you for doing 2015 with us! 2016 is going to be AMAZING!! We leave January 6! I am over the moon excited to finally meet our sweet girl! I can not wait to hug her, touch her, look into her beautiful blue eyes, hear her sweet voice in person, snuggle her in my carrier, play with her, read to her, sing to her, show her HER Mommy’s love….so many things to look forward to! Little Moose is SO excited, I think every person he has come in contact with has heard how many days until we leave to get his sister. I mean everyone! His Awana leaders, Sunday School teachers, random people at church, Walmart employees, the cashier who gave him ice cream at the mall, all the employees at Build A Bear when we made Ruthie’s Christmas gift, I think he’s even told our cat! This little boy can not contain his joy and everyone catches it! This weekend we will buy the paint for Ruthie’s bedroom and get started with that project! It’s going to be SO cute and girly! I get to celebrate this weekend with some friends! I love all things baby shower related, and am so blessed by dear friends who want to shower Ruthie with love too! We are very close to being fully funded! Our FSP needs to be at about $16,000 to be FF. We have a few fundraisers still open, they are listed here. We are hoping to finish this out before Christmas. And remember, all donations to our Reece’s Rainbow FSP are tax deductible! That’s right, we have entered the “home stretch” of bringing Ruthie home!!!!! We received the I800 approval. We received the Article 5 letter. We have been assigned a Judge. Now we are just waiting for the judge to assign our court date!! A court date! We have finally made it! The court date will determine when we can travel. We will be able to spend 5 days, morning and afternoon, visiting with Ruthie before we go before the judge. Our adoption hearing could take about two hours. I’m not exactly sure what all will happen during that time, but I do know we will both have a chance to speak. And we will be questioned by the judge as to why we want to be Ruthie’s parents, what we can offer her, and why being with us would be better than where she is. I have never been before a judge before and honestly, I am kind of stressing out about this. I mean she holds our families future in her hands. Please pray for us in this. That the judge would be understanding and we would speak clearly on Ruthie’s behalf. AND for peace and calm for me! We are ready to paint and set up Ruthie’s bedroom. Now if Mommy could just settle on the colors that would be great! 🙂 We have been blessed by a friend who posted on her local sites looking for toddler bed donations. She has found both the toddler beds we needed! Such a relief to not have to find the funds to buy them or the time to search them out. We will have Ruthie’s bedroom ready for her, but also a bed in our room for her. Remember Ruthie has never had her own room and everything around her will be new and probably scary. We anticipate she will need to be close to us for awhile and want to be available to her whenever she would need us, just like bringing home a newborn. We still need to buy a new carseat for Ruthie and one crib size mattress. And than just pack! We are wrapping up a couple ongoing fundraisers. If you are interested we still have several of our Hand Painted Eggs available, Monogram Ornaments, Caterpillar Magnets made by Big Brother, and a BIN Auction on Facebook. Stay tuned for TRAVEL DATES!!!! I would love to tell you how YOU can help 5 families and 7 children this month, for only $5! We have been chosen this month as one of the 5/5/5 for Families recipients through Reece’s Rainbow. YAY!!! This grant is a bit different from the others. Instead of the organization and their fundraisers working to raise the grant funds the recipients are involved. We share about the 5/5/5 opportunity, Reece’s Rainbow, and the families and children. So, let me brake down the 5’s. 5 – Five families who are close to traveling are selected by a committee of five men and women who have all adopted. These five members have adopted from Russia, Latin America, Lithuania, Bulgaria, Ukraine, Armenia, and China. Yes, if you are counting that is more than five countries! 5 – The funds are divided among the 5 families on the 5th of the following month. We are one of October’s families, we will receive our funds November 5. 5 – And now the fun part! How are the funds raised? Donors contribute $5 (or $10, $25, whatever amount) to the 5/5/5 grant. This can be a one-time gift or set up to be re-curing monthly! I know $5 may not sound like a lot, but when many people come together it adds up quickly. That is the break down on the 5/5/5 for Families. We would very much appreciate anything you have to “throw into the pot” this month. It is such a blessing to watch these children finally join their forever families and a bonus to know that your $5 helped make that happen. We set up our re-curing $5 in May and are so glad we did. Would you please consider being a 5/5/5 donor? I have not been good at keeping this updated lately! 😦 So this post will be updates. We received our “official” match with Ruthie last month!!! Our paperwork came October 8, we also signed our “consent to proceed” that morning and sent it back. 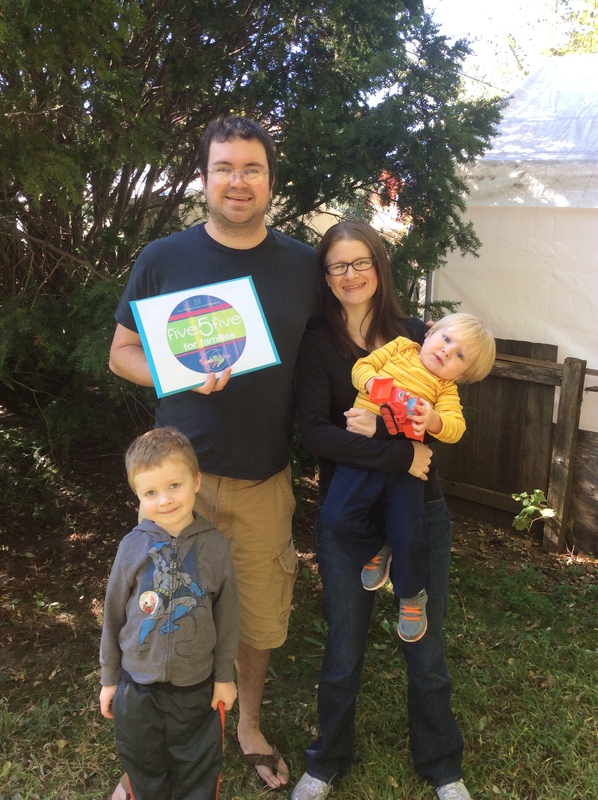 On October 13 we had all the necessary paperwork together to file our I800 with USCIS. They have received our giant packet of papers/forms and are currently processes it. This should take 2-3 weeks, obviously we are praying and hoping we’re on the quick end of that timeline. This process is so detailed and confusing! I would be lost and probably in a puddle of tears if it weren’t for our awesome agency and Cathy! So, we are in the “waiting” game again. The good news is that we will be filing paperwork soon to get Ruthie’s Visa started and have a judge assigned!! I love being in the home stretch!! We have several fundraisers going. We were chosen this month for a grants through Reece’s Rainbow called 5/5/5 for Families. I will do another posting on what exactly that is, but you can check it out here 5/5/5 and by giving $5 help raise this months grant total to help 5 families! We are doing a “Can Drive” through November 7. 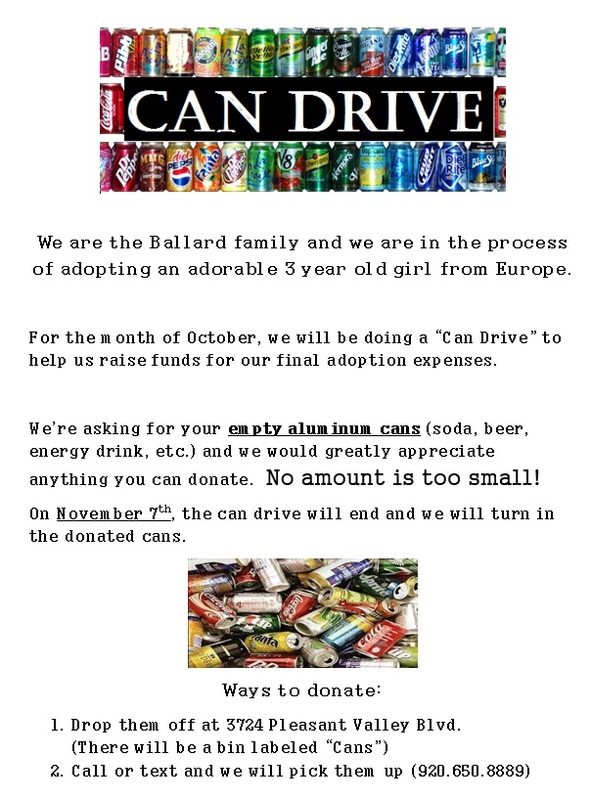 We are asking everyone to save cans for us, we will then collect them all and turn them in on November 7. Cans can be dropped off at our house anytime, we have a bin labeled CANS outside. If you are not local you can still help. Just collect cans on your own, turn them in to your recycling center, and send us a check or deposit into our FSP, there is a link on the side column. You can also share our flyer. Pizza Ranch has us on the calendar for Monday, November 16 for a fundraiser. We are waiting for approval from the owner since we are not a business. Please pray with us that they do allow us to hold the fundraiser and that God would bless us through it. Zack has a few things he is working on too. 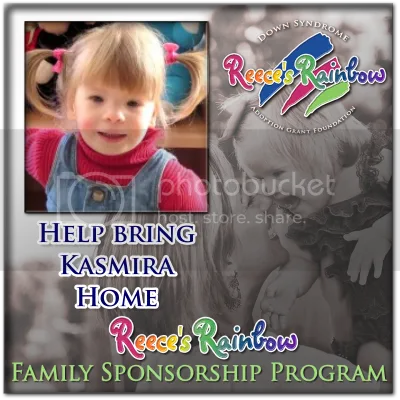 Keep an eye out for those and remember any donations made to our FSP through Reece’s Rainbow are tax deductable!